In high-intensity, contact sports like hockey and football, rib injuries can be a common occurrence. Thankfully, Cleveland Browns players have skirted these injuries in recent years, but rookie receiver Sammy Watkins of the Buffalo Bills suffered through one in mid August. They’re one of the most painful injuries and, unfortunately, there’s not much in the way of treatment, except time. 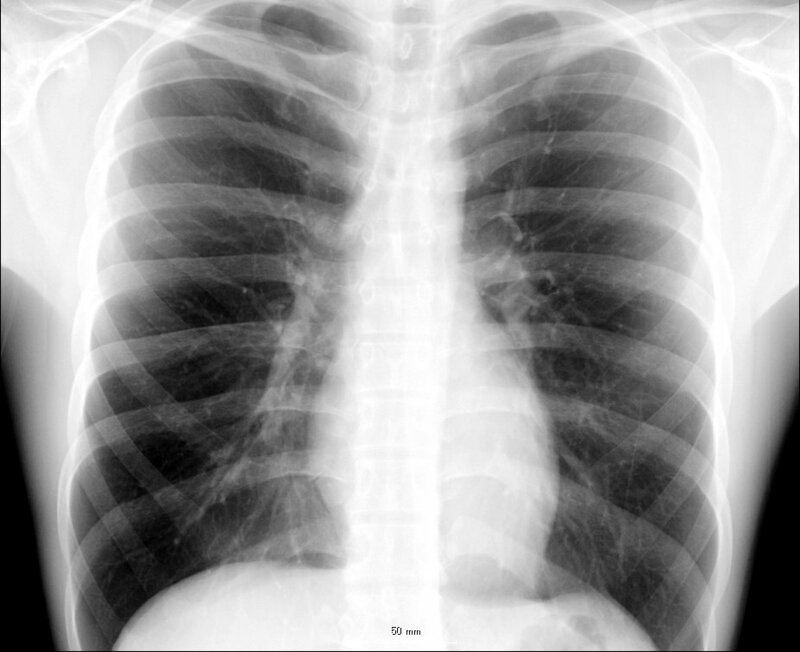 Worse yet, they can be tricky to diagnose because X-rays aren’t sensitive enough to depict details of the injury. Today, I had the chance to speak with WAKR morning show host Ray Horner about rib injuries and possible complications. Below is an audio file and transcript of our discussion. Originally aired on 1590 WAKR-AM on Sept. 17, 2014. 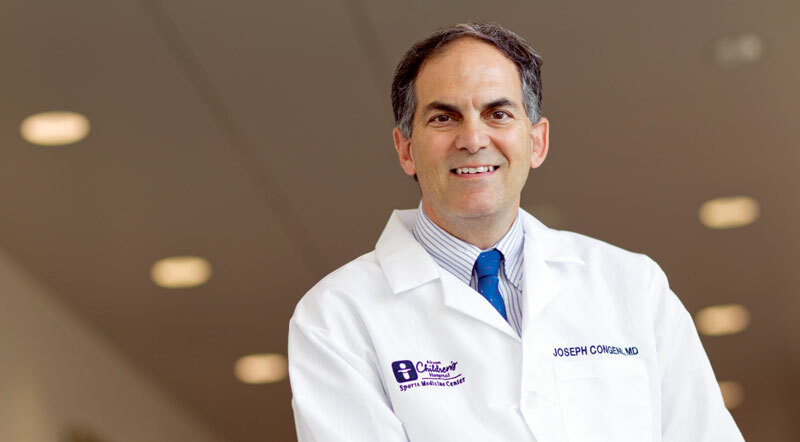 HORNER: We’re gonna hook up right now with our good friend, Dr. Joe Congeni, Sports Medicine Center at Akron Children’s Hospital. Joe, what do you have for us this morning? DR. CONGENI: Hey, Ray, you know what I’m seeing a lot this time of year are rib injuries, and they’re a little bit tricky. They’re a little bit concerning for the medical team, all the trainers out there. DR. CONGENI: … and he is the guy that, uh, [is causing] Cleveland fans some angst because they would like him to be with the Browns. DR. CONGENI: But anyway, rib injuries are tough. The rib cage as a whole is very elastic. It has a lot of recoil to it if you take a blow to the ribs. But what happens in sports like hockey and football is you take a blow and there’s only so much recoil, and something has to give way or break. The type of rib injuries that we get [can be] a fracture, broken rib; we can get a bruise to the rib, a bad deep bruise of the muscles between the ribs or the rib itself; or we can get a separation between the rib and the cartilage. X-rays are not really great at showing these things. It’s not very sensitive, and athletes want [answers]. They ask us, you know, “What’s the prognosis? When will I be playing?” You know, “Can I play tomorrow? Can I play this week? Will it be 2 weeks?” And, it’s a little hard to say early on because X-rays aren’t great. A lot of times we just make a kind of clinical diagnosis. It’s a rib injury, maybe call it clinically a rib fracture because X-rays don’t help us much. There are some complications with it, too. We can get a bruise to the spleen, which is underneath the ribs on the left, to the liver, which is underneath the ribs on the right, or to the lungs. And we, obviously, sometimes get cases where we actually puncture the lung. So, there can be complications. So, the medical team has to really watch carefully, especially because it’s so painful early on. This is one of the most painful injuries, Ray, you know that. You can see people wince, and it hurts, especially in the first few days. It hurts to breathe. So, what are we going to tell an athlete, don’t breathe over the next 3 or 4 days? DR. CONGENI: I mean, it’s very painful to breathe or to move at all. I guess it’s like that, you know, gosh that old Phil Collins song, “Every breath you take, every move you make.” The first week hurts. And, there’s no great early treatment. We put a rib belt on, or we put an ACE Bandage to splint it a little bit and it helps, but it’s time. Luckily, young athletes heal fairly quickly. We try to get ‘em back as soon as we can safely to play sports, as long as we make sure they don’t have one of those complications. So, it’s a tough injury to deal with. HORNER: Yeah, and it seems like it takes them a long time to go away. DR. CONGENI: You know it does, and so sometimes people return and they put up with that pain for a short period of time. As long as we’re sure it’s not a bad fracture or that it bruised or punctured one of the organ systems that are important, we will allow them to play. But, you’re right. You can see kids for 2 weeks or a month, they’re still wincing every time they get hit or they hit that hard turf. It’s painful. HORNER: Alright, Joe, great stuff as always, my friend. Good insight. We’ll catch up with you next week. DR. CONGENI: Alright, Ray. Thanks. Have a great week. HORNER: You too. There you go. 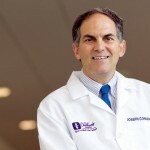 Dr. Joe Congeni, Sports Medicine Center at Akron Children’s Hospital.